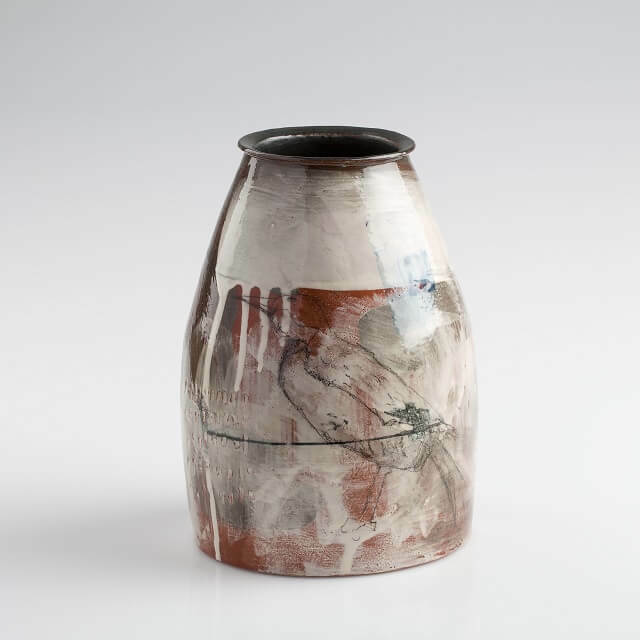 An intriguing non-functional jar which rewards the viewer by revealing a little more at every glance. The handcrafted piece is part of a series inspired by taxidermy and is decorated with layers of printed, painted and drawn imagery depicting different birds. And as no two of Fiona’s craftworks are exactly alike, you’ll have the added pleasure of possessing a one-off ceramic gem.